The biggest concern for a working parent is the safety and well-being of their child. They want their little ones to be in a place where they are safe, comfortable and well cared for. Little Hands Little Feet is just the place you were looking for. Our established nursery in Belfast employs qualified and well-trained staff that has considerable experience working with children in various age groups. Not only do we understand the needs of your children, but we also know the challenges each age group faces growing up and the support they require from the adults around them. The nursery caters to a varied age group ranging from new born children to 11-year olds. We have set routines for each age group and planned activities for children. Apart from this, the little ones are also given ample free time to explore their creativity and are encouraged to pursue their interests and work independently, facilitating their development process. Children learn from experience and that is exactly what we offer at Little Hands Little Feet. 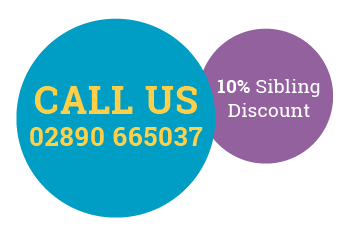 We ensure that the initial experiences of your child’s life are positive, exciting and educational. 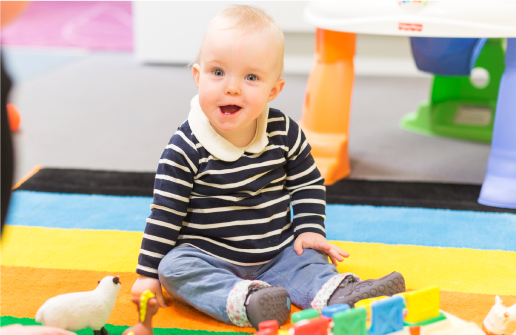 At our day nursery and after-school care centre, we focus on 6 crucial areas of learning and development that include math, language, physical skills, social skills, the arts, and the environment. In our efforts, we strive to pave the way for life-long growth and learning for little minds. 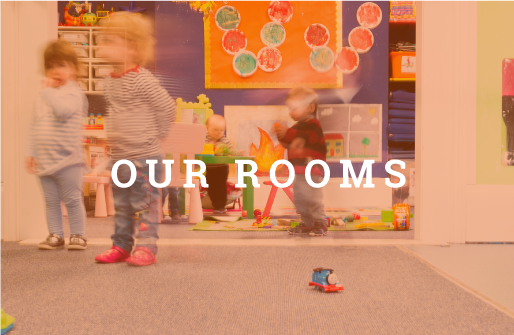 Each room is distinct in its own way and encourages fun learning through activities and interactive play. There is a “messy area” in each room which allows children to use their inner creativity, imagination and instincts. The activities encourage children to hone their problem-solving skills and work independently as well as part of a team. Along with indoor time, there is also some outdoor time that allows children to learn more about nature and get close to it in our beautiful garden. Snack time and sleep time offer opportunities for children to adapt and settle into a routine. They explore new tastes and textures and learn to nap independently. Leaving your children in someone else’s care for more than 8 hours a day can be daunting for most parents. The greater concern is how the children spend this significant part of their day. At Little Hands Little Feet, we do not simply babysit your children. We care for them in the holistic sense. Not only do we look after your little ones and tend to their routine needs like eating and sleeping, we also invest a good amount of time and energy into helping them learn, grow and develop into stronger individuals. As parents, you can rest assured that your children are being looked after well; physically, mentally and emotionally. Children learn more through experience than teaching. We use a comprehensive childcare learning process that includes 6 fundamental areas of learning; language, math, physical and social skills, arts, and the environment. All of this is done through structured, yet playful activities. We have certified and experienced staff that understands the psychology of children. Through our training and experience, we are well aware of the challenges children face in different phases of their early years. 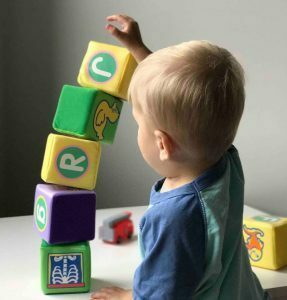 This is why we have established set routines for different age groups that include interesting activities, snack time, nap time, and more, to facilitate cognitive and physical development in an exciting and fun way. In addition to that, children are given free time to explore their creative genius and discover their interests. Group time allows them to mingle with other kids their age and learn vital social skills. Special events are organised to give children exposure to new experiences. Park visits, field trips, trail trekking, picnics, and gardening are some of the events that help children connect with nature and the environment. Structured and well-planned activities are important for the all-round development of your little ones. At our nursery, we have designed some interesting and educational activities that allow children to explore their surroundings as well as learn discipline to become smart and perceptive individuals. Every activity is geared towards building their personalities and honing their skills. Children are taught to feed themselves and are toilet-trained to promote independence and hygiene. They will be involved in a host of activities that serve a variety of different purposes, such as, improving their motor skills, hand-eye coordination, sensory skills, problem solving skills, decision making skills, and more. We take childcare seriously and ensure that children spend their time at our Belfast nursery in a fruitful and productive manner. We also offer them independence to act on their instincts for constructive growth and development. We offer lots of plans for all age groups ranging from new born to after schools. Little Hands Little Feet nursery in Belfast, is an exciting place for children to learn, develop and grow, where they all feel loved and cared for. Full time care for your little one, including morning snack, lunch and afternoon snack each day. Kids can learn and play outdoors in our jungle gym. Part time care for your little one, including morning snack, lunch and afternoon snack each day. The staff and management at LHLF are approachable and responsive to both children's and parents needs. The nursery accommodation is visually attractive and clean. Rooms are age appropriate, fun activities and visits are organised by friendly, caring staff! My son has been going to this nursery for the last 8 months and we really like the care that staff provide. My son is so happy in this nursery and I definitely recommend as a parent. Little Hands is a great place. My boy has been going there part time for nearly two years and he loves it. My little girl will be starting in January. The site and location is perfect and the staff are excellent. They all have a great way with the kids and genuinely seem to enjoy spending time with them.